Princeton University Press, 9780691175386, 328pp. 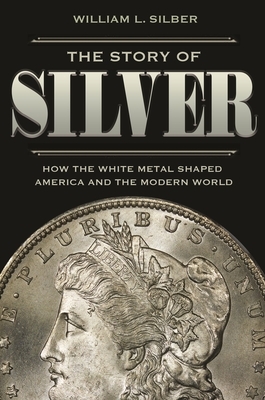 This is the story of silver's transformation from soft money during the nineteenth century to hard asset today, and how manipulations of the white metal by American president Franklin D. Roosevelt during the 1930s and by the richest man in the world, Texas oil baron Nelson Bunker Hunt, during the 1970s altered the course of American and world history. FDR pumped up the price of silver to help jump start the U.S. economy during the Great Depression, but this move weakened China, which was then on the silver standard, and facilitated Japan's rise to power before World War II. Bunker Hunt went on a silver-buying spree during the 1970s to protect himself against inflation and triggered a financial crisis that left him bankrupt. Silver has been the preferred shelter against government defaults, political instability, and inflation for most people in the world because it is cheaper than gold. The white metal has been the place to hide when conventional investments sour, but it has also seduced sophisticated investors throughout the ages like a siren. This book explains how powerful figures, up to and including Warren Buffett, have come under silver's thrall, and how its history guides economic and political decisions in the twenty-first century.